To fulfill ever-evolving requirements of our respected clients all over the country, we are involved in offering an exclusive range of the Antique Copper Finish marvel fan. This product is manufactured using superior quality raw material and advanced technology in order to maintain its adherence to universally accepted norms. 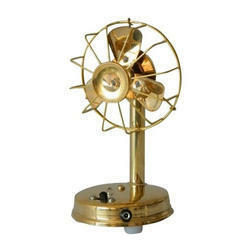 Brass decorative showpiece.Ravishing and radiant anique brass fan table. Best to gift.It is a utility decor fan. Aerodynamically designed for high speed and maximum air delivery. Unique, majestic motor, innovative hank design and canopies. 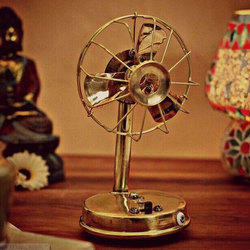 Decorative Antique Fan Toy for Decoration Only.